The ads below appeared in the Harvard Crimson. Scripts I've written for online radio, podcasts, and broadcast radio. Squarespace blog posts I have ghostwritten. For any delicious dish, cocktail, or food product, quality tools matter. They make preparation and presentation easier, quicker, and more impactful. The same is true when it comes to creating a beautiful online presence, something Squarespace has been passionate about since we launched. In 2014, we launched an integration with G Suite (formerly known as Google Apps for Work). This let our customers combine professional email and a set of secure, cloud-based productivity apps with a beautiful website and a custom domain. 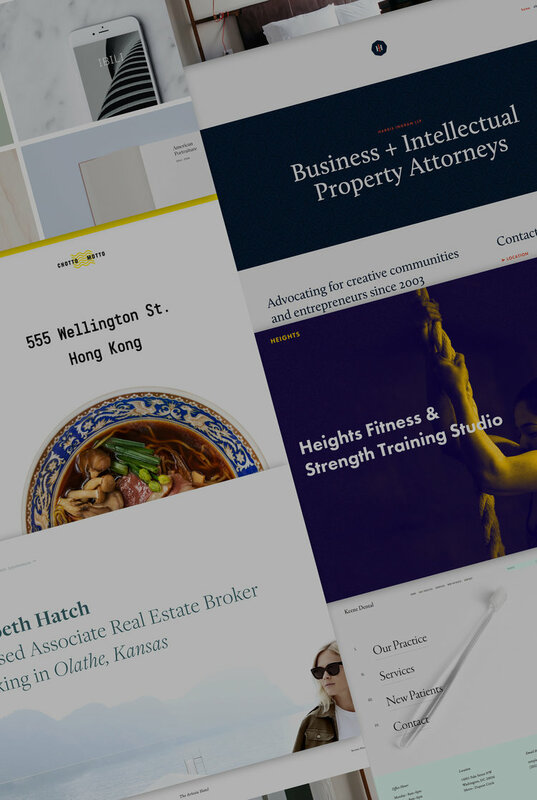 Since then, hundreds of thousands of G Suite x Squarespace customers have grown their ideas into thriving businesses.